Relationships have the potential to drastically improve our lives, or to sucker punch us in the emotional gut. Impactful as these interpersonal ties can be, it's worth the effort to become more familiar with them, question a lot of our default notions that surround them, and calibrate them to best suit our needs and those of the people we care about. This is a book for people who want it all when it comes to relationships: something tailor-made for their unique beliefs, goals, desires, and lifestyles. This is a book for people who aren't afraid to ask, "How might we do this better?" What did you love best about Some Thoughts About Relationships? "you are the one... You are born complete. You die complete. You decide who to spend your time with in between" -Colin Wright. A great writer and narrator applying the socratic method to relationships and teaching us that an examined life is a happy and fulfilled one. 5+stars. I'll be listening to this book with any girl I'm considering having as an important person in my life. Very new in the way it is built, and in new ideas that I found very illuminating. The book is short, fluid, built from also short but very well defined chapters concerning guidelines that proved useful for the author to help him take and give the best in his relationships. It will flow by in an instant, but leave you with some inspiring perspectives. do read / listen to it. This audio book is short and straight to the point. Easy to understand and apply. This had helped me make sense of what went wrong in many of my failed relationships and identify what to do better next time. 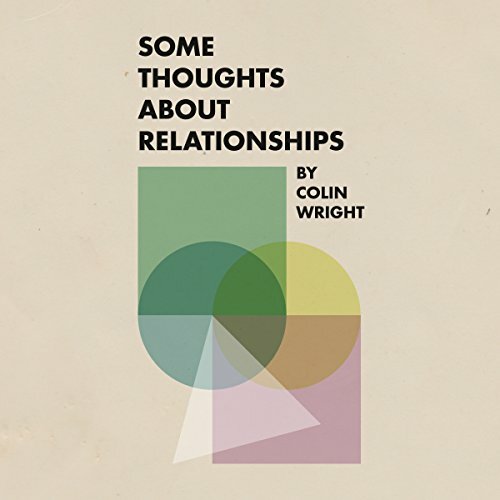 I really enjoyed this, an honest, compassionate view of relationships. I'm sure most people could learn something, remember something or find food for dialogue from listening to this. This had some really good views on having healthy relationships. I think it was too short but a good quick read. Short and full of meaning. Excellent ! very enjoyable. I would have loved to have examples illustrate each one of the ideas for more impact but I loved it. I am going to listen to it periodically and use it as a reminder.